Listen to this great podcast on the Whole Story, Whole Foods official blog. It's a representative of Boiron Homeopathics sharing great information on oscillococcinum. 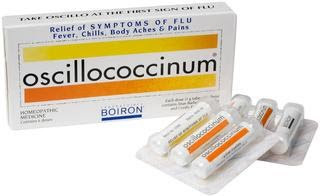 Oscillococcinum is a great remedy to have on hand this flu season! how funny that you posted this...I am a whole foods junkie and listen to their casts regularly. I thought of you when I heard this one and low and behold.. you posted about it.